We evaluate the effect on reported daily criminal incidents of a sizable reallocation of police officers from plain clothes special-task force assignments to uniformed foot patrol. 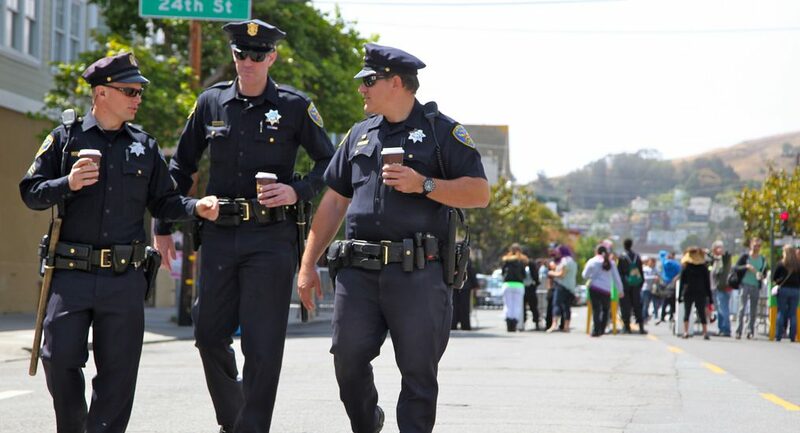 On September 1st, 2017, the San Francisco Police Department (SFPD) re-assigned 69 officers (roughly 3.5 percent of sworn officers in the department) to various foot patrol assignments across the city’s ten police districts. We use microlevel data on criminal incidents to generate daily counts of crime by broad category for the ten most frequently reported offenses (accounting for over 90 percent of incidents reported to the police) for the 120-day period surrounding the September 1st policy change. We conduct an event study analysis to test for a discrete change in the daily level of criminal incidents coinciding in time with the reallocation of police officers. We document discrete and statistically significant declines in the daily number of larceny thefts and assaults reported to the police coinciding with the increase in the number of officers assigned to foot-beats. We show that the observed declines are not evident for comparable time periods in earlier years. The decline in larceny theft is geographically broad-based across police districts within the city while the decline in assaults is concentrated in a few districts. We do not observe larger crime declines (either in absolute terms or proportional to pre-change crime levels) in districts that experienced greater increases in foot-beat assignments.